I've failed to post enough about the inspiration my daughter gives me each and every day. She's a drawing fiend, and creative, fearless wonder. She leaves creations behind like drops of water from wet fingertips. 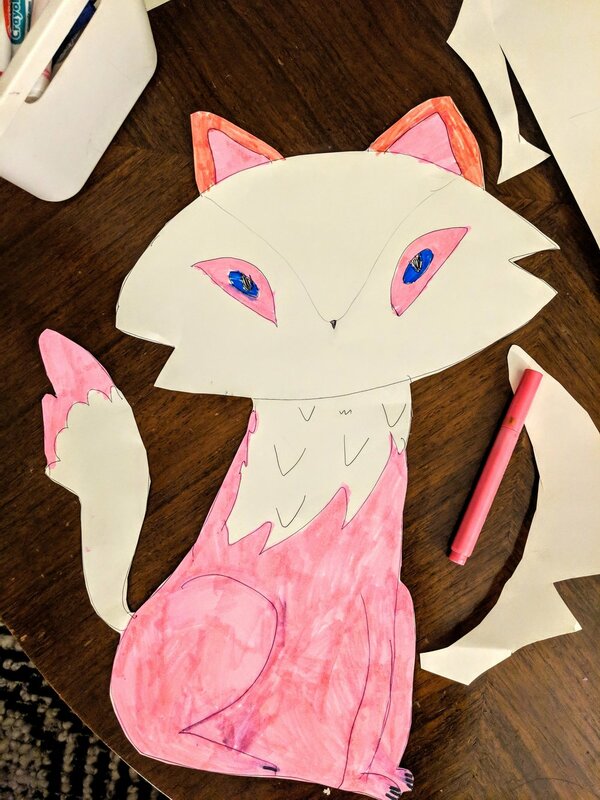 Yesterday, after I made dinner, she left behind this wonderful, large scale cut-out of a character from her favorite series of toys by Nat Geo called "Animal Jam." Using the prompt this time, she is fierce with her pen.